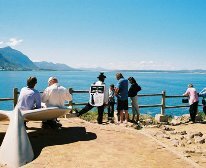 This tour takes you over a mountain pass to the seaside town of Hermanus, built along the shores of Walker Bay near the Southern Most tip of Africa. 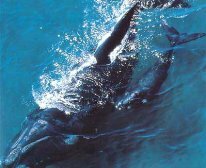 Hermanus is nestled between magnificent mountains and the sea and offers some of the best shore based whale watching opportunities in the world from August to November. 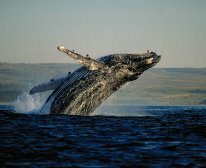 Visitors travel from around the world to witness the giant Southern Right and Humpback Whales from the Hermanus' shoreline and cliffs. Hermanus has it's own whale crier, the only one in the world. Travel coastal road to Hermanus. 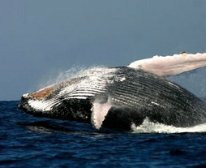 Best shore based whale watching (Aug - Nov). Visit penguins. Lunch (for own account). 1 wine tasting en route. Return to Cape Town via Elgin & Sir Lowry's Pass.